We’re upsizing your October. Double your rewards! *Complete at least 1 ride daily for 20 days in October in order to qualify for the Daily Active Bonus – Tier 1. **Complete at least 2 rides daily for 20 days in October in order to qualify for the Daily Active Bonus – Tier 2. You can only qualify for only either Tier 1 or Tier 2 Daily Active Bonus, not both. August 2016 Top 60 Drivers! 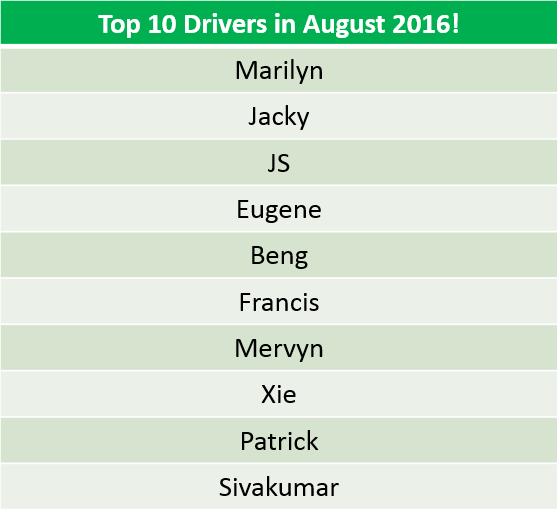 Congratulations to our top 60 Drivers for the month of August! All winners have been contacted and rewarded accordingly. Here are the top 10 hitch drivers! Each of them have been rewarded an additional $100 in CASH! You could be one of them too! Double Your Rewards with every Hitch Driver you refer! We’re upsizing your October to make it bigger and better! For the month of October ONLY, you will get DOUBLE the incentive for every hitch driver you refer. All hitch drivers and their referees will get $20 for every friend they refer, after their referee completes 1 driver ride successfully as a new GrabHitch driver. Give $20, Get $20! Select the Gift Box icon circled in red on your GrabHitch screen. Select ‘Copy your referral link’ and open a messaging app. Paste the link in a text message to your friend and viola! The alpha numeric characters circled in red after invite.grab.co/XXXXXXX is your unique referral code. Send the alphanumeric code to your friend, and get your friend to sign up as a driver on GrabHitch. Remember to input the referral code, otherwise we would not be able to credit your $20 to you! The $20 referrer / $20 referred scheme runs from 1 October @ 00:00 hours – 31 October @ 14:00 hours. 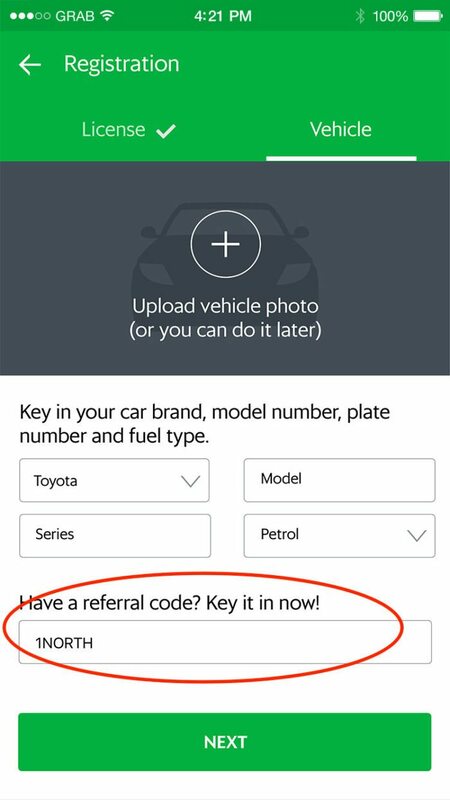 Referrer: Your friends have to use your unique referral code issued to you, if they signed up without a code they do not count towards your referral. 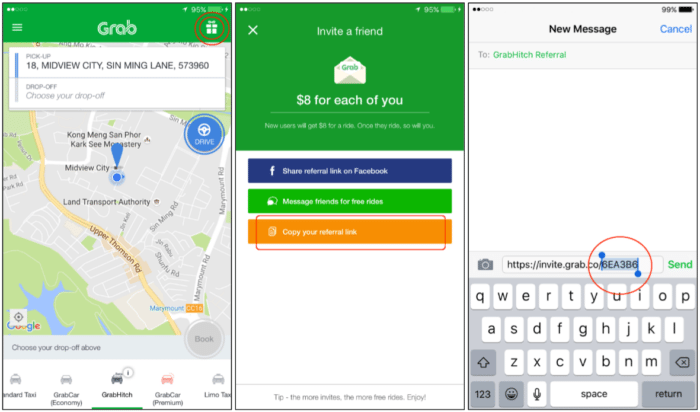 Referrer: You will only receive $20 credit in your GrabHitch driver wallet after your friend has successfully completed ONE GrabHitch ride as a driver. 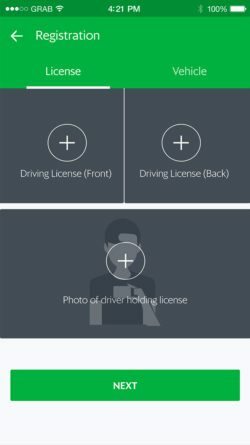 Referred: You have to apply with a valid unique referral code and do ONE successful GrabHitch ride as a driver by 31 October 14:00 hours to count as a successful referral for your friend. Referred: After completing your 1 GrabHitch ride as a driver, please allow up to 10 working days from the end of the month for the $20 credit to be transferred into your GrabHitch driver wallet.